Ride around on this bucking Rockin’ Rider Stick Bull while he talks and sings! 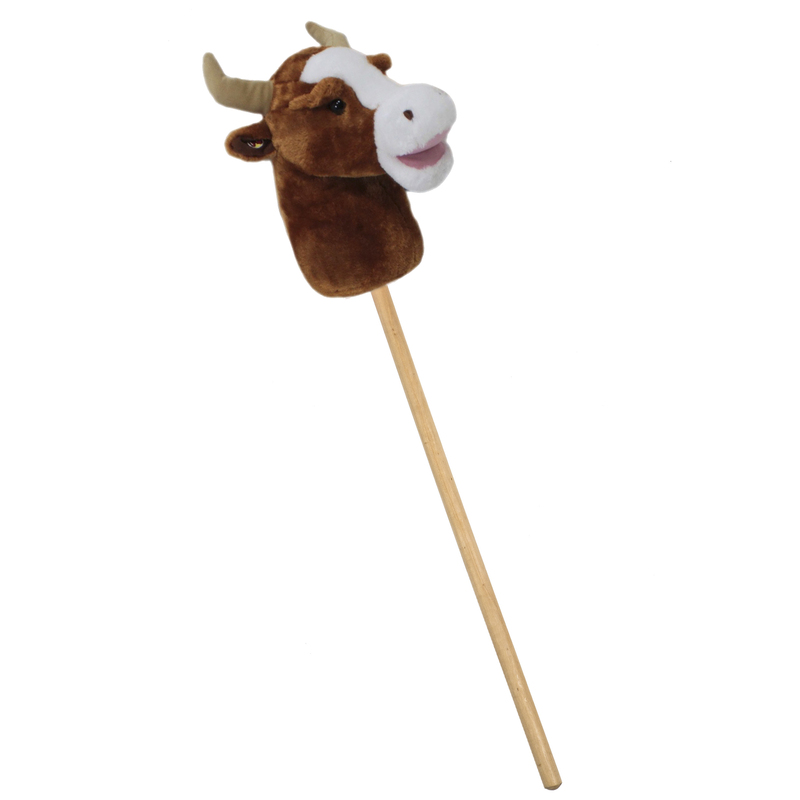 This classic stick bull features soft plush over a lightweight and sturdy foam core and a beautiful wooden stick. 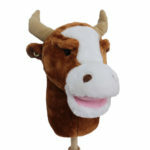 With the press of an ear it sings the exclusive “I’m a Rockin’ Bull” song, says 6 fun phrases, and makes realistic sounds. Other features include soft plush horns. and, colorful eyes. Recommended for ages 3 and up.